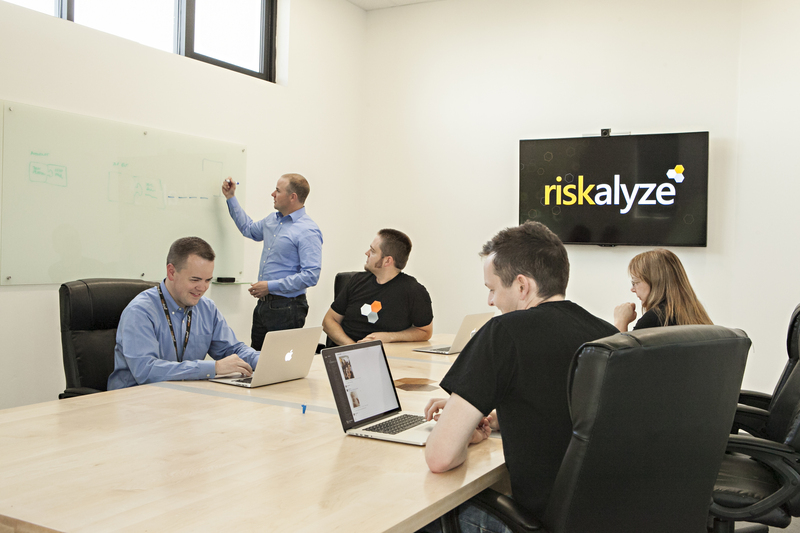 Riskalyze is a technology company founded to align the world’s investments with each investor’s Risk Number®. The company brought in Ed Sanchez as a learning administrator to enhance and scale onboarding and sales enablement systems for over 100 employees. Before Ed, the company’s learning system was disorganized and barely trackable; learning documents were scattered across Google Drive and Dropbox, and in-person training sessions were only tracked through a sign-in sheet. “It was difficult to create meaningful reports without lots of additional manual data crunching. For supervisors, lack of easy visibility meant they had no way to look at learning records on their own without me getting involved. This created one more hoop for managers to jump through when having personnel discussions,” said Ed. Ed needed more than a learning system. 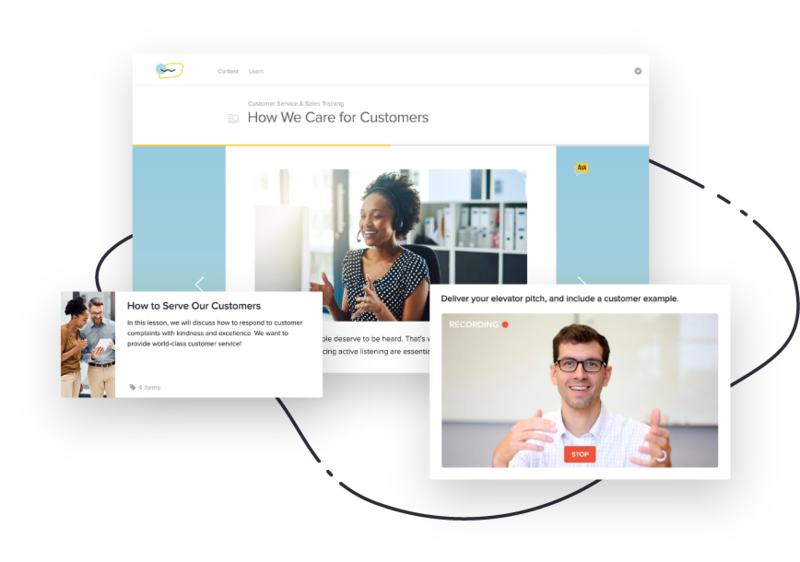 He needed to create an onboarding and ongoing training experience for learners — while simultaneously cutting down on administrative tasks. 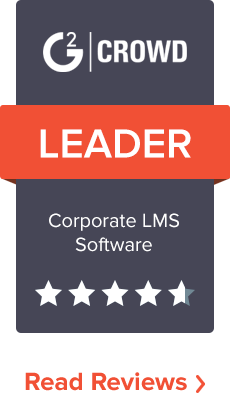 Lessonly helps Riskalyze consolidate and streamline its sales and customer service onboarding and ongoing training processes; the manual work becomes automated with Lessonly features like scheduled assigning and email reminders. From assignment to completion, learning is tracked. “If I were tracking training manually, I’d have to send out an email and some other more manual mechanism to track completion — all separate, moving parts. From an automation standpoint, it has been a huge help,” noted Ed. A more consistent learning approach means well-informed employees, which leads to better sales productivity and more stable sales processes. It took Ed 2–3 days to transfer learning material over to Lessonly, and now the platform remains the tool to hold Riskalyze’s learners accountable to their success. Each sales rep is typically onboarded within 10 days and each customer experience employee within 12. Ed creates lessons to frontload the key skills and knowledge new hires need to learn. In addition, he uses Lessonly to organize self-directed training, in-person sessions, and tasks. This blended learning helps learners retain information and be more productive in the long-run. With the Learning Library, Ed can house learning in a place everyone can access information without assignment. At the end of the first training week, Ed sends a lesson with free-response questions to initiate a discussion on the new recruits’ strengths and weaknesses. In-person training sessions are now more productive as a result of new employees having learned the necessary, foundational information through Lessonly prior to engaging in face to face conversations with managers. Riskalyze’s team members and supervisors love that material is easy to search and reference back to. Ed likes that it’s easier for managers to check the progress of learners and produce training records to support actionable coaching plans as learners progress.